Access Control Panel in Windows operating system platform that contains a collection of applets to configure the settings. 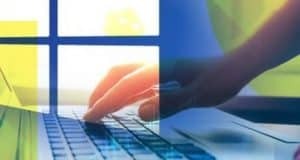 We can say that is a central base from which you can customize settings such as credentials, screen PC, Internet and Networking, keyboard, fonts, Appearance, Energy, Sound and more on your Windows PC. 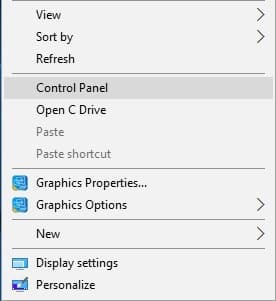 Thus, the Control Panel is an important tool for us, and here we will see Opening the Control Panel in Windows 10. there are actually a lot of options and settings that allow easily do so. 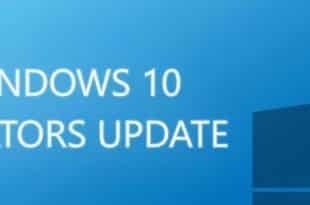 The reason for the multiplicity of these options, it's because Microsoft seeks to provide settings for users of its Windows 10 operating system, because the easier the use of Windows 10 more demand will by users. To access Control Panel in desktop Context Menu use the following code of windows registry. 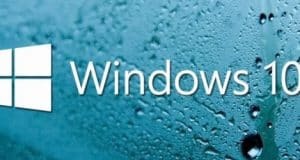 To Remove Control Panel in desktop Context Menu use the following code of windows registry. The new Windows 10 Control panel is designed to access the options that Microsoft considers most important in a simple way and everything is designed for use on mobile devices. But in a PC Control Panel always you have many more options and access to tools and system settings.